THE HIGHEST QUALITY: Our Almond Carrier Oil is created with only premium oil. 100% PURE AND NATURAL: Plant Therapy uses no fragrances or additives in our Sweet Almond Carrier Oil. We are renowned in the essential oil industry for our strict standards of quality and use the finest sources and processes in creating our top-quality carrier oils. EASY TO USE: Use as the base for your oil cleansing method or as a daily moisturizer. PERFECT FOR SKIN CARE: Plant Therapy's Sweet Almond carrier oil is an excellent emollient which softens and reconditions skin. HAVE QUESTIONS? 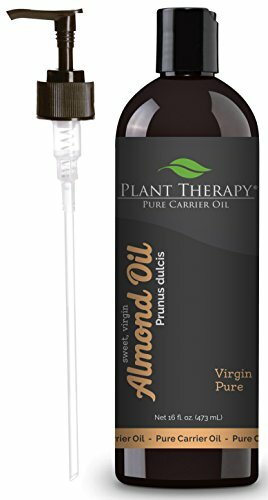 : Plant Therapy's certified aromatherapists are happy to help you with your Sweet Almond Carrier Oil questions via Amazon Messages. We welcome your questions and input!